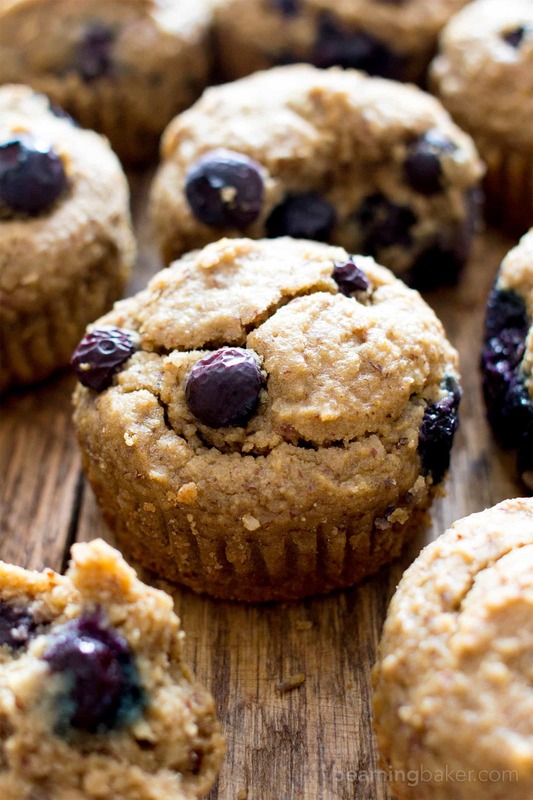 Gluten Free Vegan Blueberry Applesauce Muffins (V, GF): a one bowl recipe for soft & satisfying healthy blueberry muffins made with oat flour and applesauce. 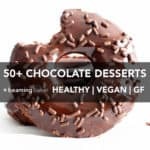 Vegan, Gluten Free, Whole Grain, Dairy Free, Refined Sugar-Free. But just to be safe, I highly suggest you bake a batch of these Gluten Free Vegan Blueberry Applesauce Muffins. They’re soft, satisfying, bursting with all the blueberry goodness, and sure to make your week decidedly awesome. Because you totally just decided that with the power of your mind, right? And since when did fresh-baked muffins (be they of the chocolate, banana or pumpkin variety) not make everything all better with their simple existence? I mean, just looking at these Paleo Blueberry Muffins from my super talented friend Chrystal over at Gluten-Free Palate makes me drool. 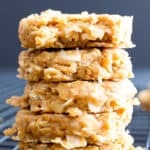 I’m gonna try making these with flax eggs to make ’em vegan. 😉 Or maybe I’ll make these yummy Vegan Pumpkin Muffins from my girl Erin at Texanerin. I mean… drooling! Meanwhile, when you start putting this batter together, you just know it’s gonna be good. 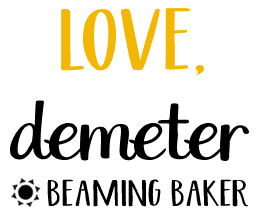 Do you ever get those happy vibes from baking like I do? It’s just that when I start to scoop oat flour… admire the beautiful texture of almond meal… and breathe in the scent of coconut sugar… I just feel GOOD. Ya know what I mean? And the excitement over creating something: nothing really compares. Anywho, how did this recipe come about, you might be asking. Wait, where do I put the question mark in that last sentence? Do I put a question mark in? Ah… the fine intricacies of writing. Let’s just throw all of those stodgy writing rules out for now and enjoy the moment. As I was saying… a truly kickass reader (Hey, Chrissy!!) asked for blueberry muffins and here I am delivering. I’m not quite ready to release my master muffin batter yet. Plus, I’d like some more time to fiddle with different flours/meals, etc. to create that perfect muffin texture. So this time around, I thought I’d employ the powers of applesauce and just go for it! How do you feel about applesauce? Fan or foe? Or meh? Applesauce reminds me of childhood and the comforts of simple things. 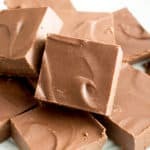 It’s definitely not first on my grocery list, but it’s an ingredient I like to use when the cravings call for it. Speaking of which, check out this Gluten-Free Applesauce Bread from Meaningful Eats for yet another yummy GF applesauce treat! Just remember to swap the eggs with flax eggs and use organic sugar to make it vegan. 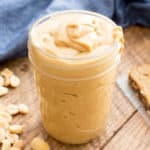 Or, if you’re in the mood for pumpkin muffins, try these Healthy Pumpkin Cream Cheese Muffins from Veggie Balance. 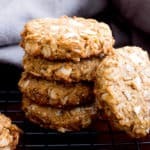 Be sure to use flax eggs, maple syrup and dairy-free cream cheese to make them vegan. 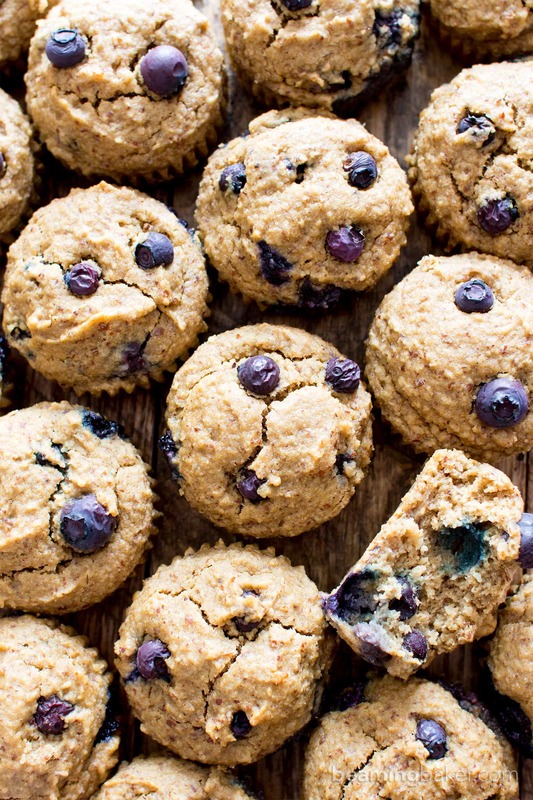 😉 Lastly, if you’d prefer some more blueberry muffins, you’ve got to try these delicious Grain Free Blueberry Muffins from What the Fork Food Blog! To make vegan: sub the eggs with flax eggs and honey with maple syrup. YUM! 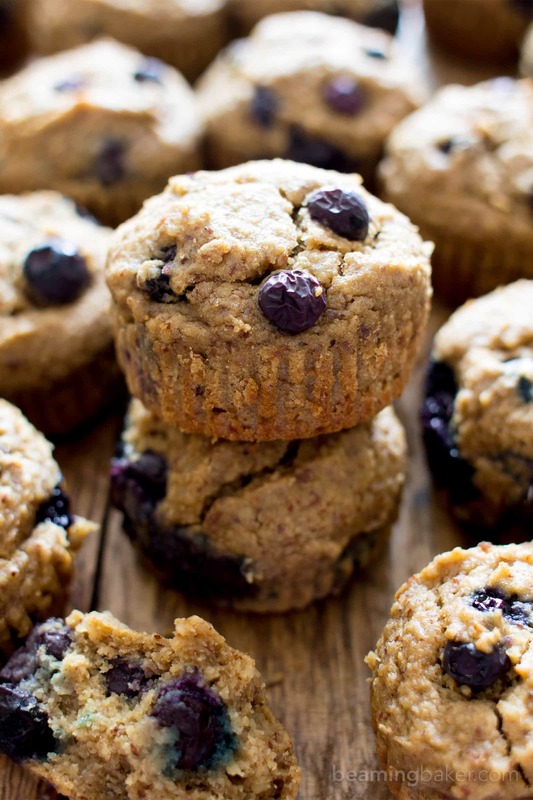 The combo of blueberries and applesauce make for a deliciously moist, soft and texture-rich muffin. I hope you truly enjoy these babies! In case you’re not quite convinced yet, let me tell you all about them. or, or… just a lightly sweet treat for—does this really need a for? What’s your favorite muffin flavor? 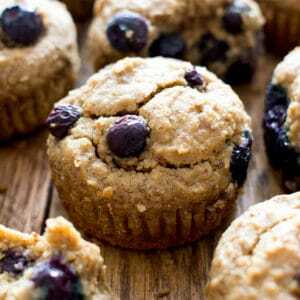 Gluten Free Vegan Blueberry Applesauce Muffins (V, GF): a one bowl recipe for soft, satisfying blueberry muffins made with oat flour and applesauce. Vegan, Gluten Free, Whole Grain, Dairy-Free, Refined Sugar-Free. In a large bowl, whisk together all the wet ingredients: applesauce, coconut oil, coconut sugar, flax egg, and vanilla. Whisk until well incorporated. Add oat flour, almond meal, baking powder, baking soda and salt. Whisk together until just incorporated, making sure no flour patches remain. Gently fold in blueberries. Using a large cookie scoop, scoop and drop batter evenly into muffin cups. * Smooth batter into an even layer, with a domed top (rise) in the center. 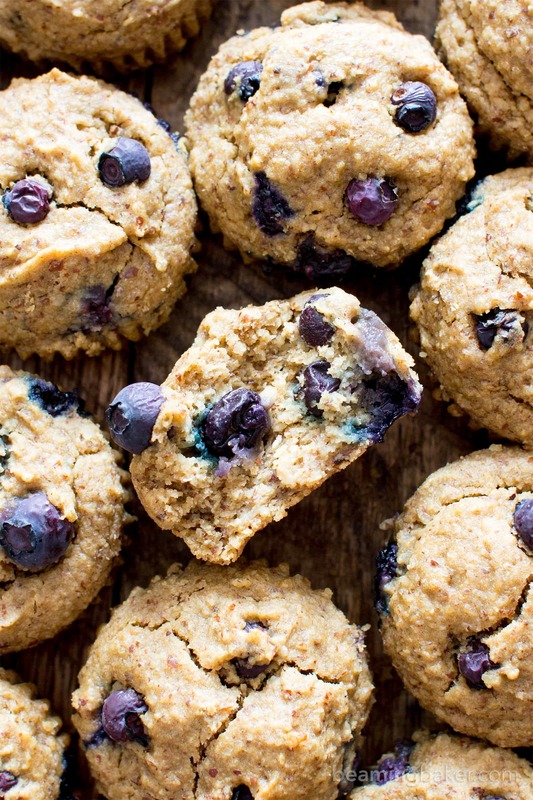 Optional: press blueberries gently into the tops of the muffins. Bake for 16-22 minutes. Mine took 19 minutes. Insert a toothpick in the center of one muffin to check for doneness. It will come out clean when the muffins are ready. Allow to cool on a cooling rack for about 1 hour. Lift out and enjoy! Storing instructions below. - Storage notes: Muffins are best if eaten within the first 2 days. After the 1st or 2nd day, these muffins MUST be stored in the refrigerator. Store in an airtight container in the refrigerator for up to 3 days. -*Using a large cookie scoop definitely helps to create beautiful domed tops. - Do not heat in the microwave: this will make the muffins too moist. 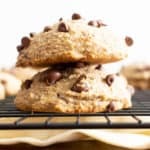 - More muffins + quick bread recipes: chocolate chip pumpkin muffins, gluten free banana oat muffins, one bowl pumpkin bread. Hi Demeter, Can u use frozen blueberries? Hi Crystal, I’m not entirely sure since I used fresh blueberries during all my trials. You just might be able to. Otherwise, you can thaw and drain your blueberries first. Enjoy! I’m here to comment that I made these last night with frozen blueberries and they turned out great! I pulled the blueberries out of the freezer and let them thaw a little bit while I was getting everything else ready. I had to cook them for the full 22 minutes. I’ll definitely be making these again! Thanks for the recipe! Yay! So glad to hear that they turned out well with frozen blueberries! ???? So it took me WAY too long to make these – but the end of summer got so busy somehow! Anyway .. these did NOT disappoint. As always, they were incredible. I get so excited to make your recipes because I have no worries about not liking them. The worst is when you go through the trouble to make something and it is a DUD! Thanks for never having any duds on your site – we truly appreciate it! And thank you for creating this healthy and delicious muffin for me and my family! 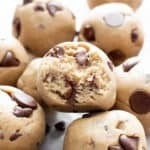 Hi there, I love this recipe that I was happy to find when looking for gluten free and vegan muffins.Do think I can freeze these. My secret to success as a busy Mom, make extra and freeze for crazy days.thank you for your inspiration and hard work. All the best. Hi Leonor, I’m so happy to hear that you’re enjoying my recipe. 🙂 Unfortunately, I wouldn’t recommend freezing these–they’re best eaten within the first day. However, I have a TON of gluten free vegan muffins that freeze beautifully (for 1-2 months). 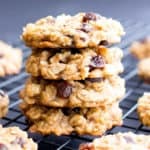 Try these: banana nut muffins, maple pecan pumpkin muffins, dark chocolate muffins, and more here. Happy Baking! Do you think I could sub honey or maple syrup for the coconut sugar? Thanks! Do you think i could sub honey or maple syrup for coconut sugar? My husband can’t have coconut. Thx! I just made these blueberry muffins the are awesome!! !’ I didn’t have almond meal so used oat flour instead they came out great. 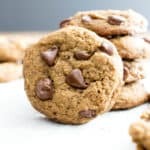 I have also made your gluten free chocolate chip cookies they are delicious. The best I have ever had. My sister made your chocolate muffins,cake and cupcakes they are the best you would never know the difference. 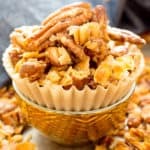 Thank you so much for taking the time to convert some of these wonderful recipes. You are awesome. Hi Maria! Woohoo!!! I’m so happy to hear that you’ve enjoyed many of my recipes. ☺️ I’m so pleased that they’ve been a hit with your family too. 🙂 Thank YOU for taking the time to stop by and share the love! Hugs! ??? ?